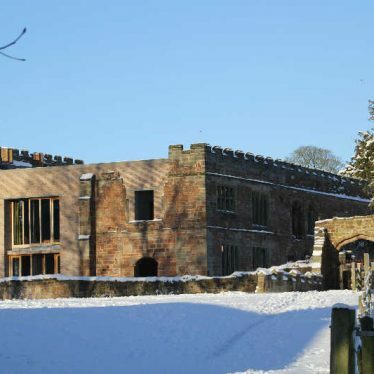 Astley Castle, a house which was originally built during the Medieval period but was altered and added to at a later date. The house is surrounded by a moat. 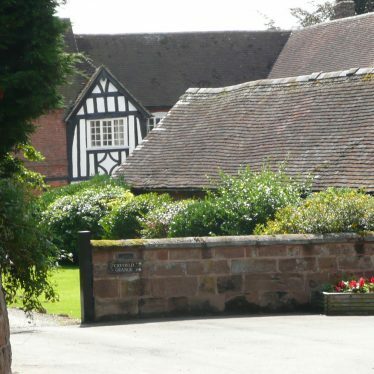 It is situated at Astley, 100m east of Church Lane. 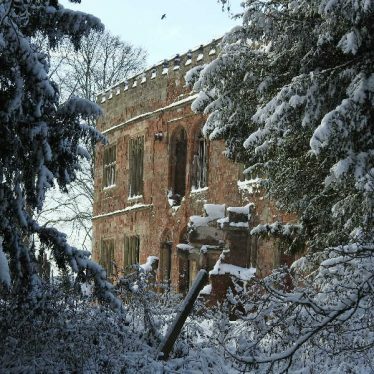 1 A roughly rectangular building of local red sandstone, having two stories, with embattled parapets throughout. Largely mid 16th century date but there is evidence that part of the 12th century structure (see PRN 359) is embodied. There were substantial alterations during the 17th century, again in 1820. 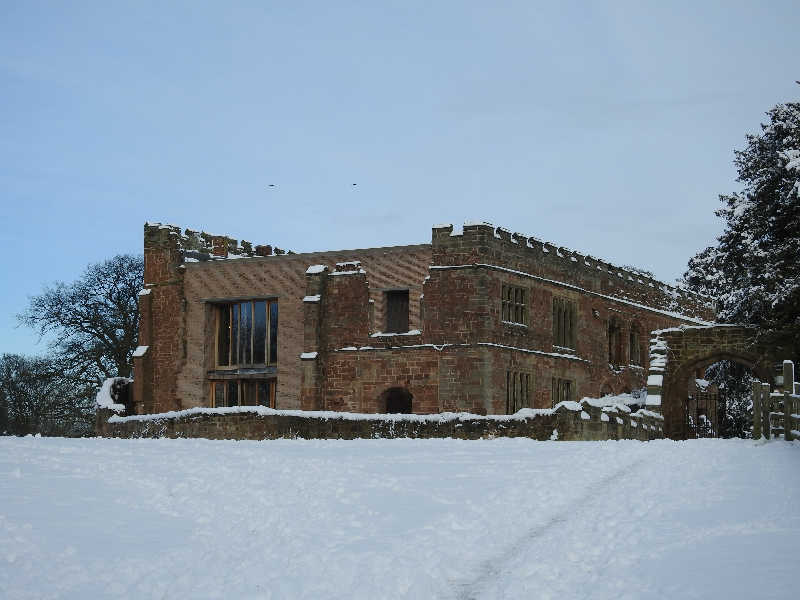 The interior is wholly modernized, a Jacobean fireplace being the only original internal feature. There is evidence for the original materials being used to rebuild the house in subsequent phases. 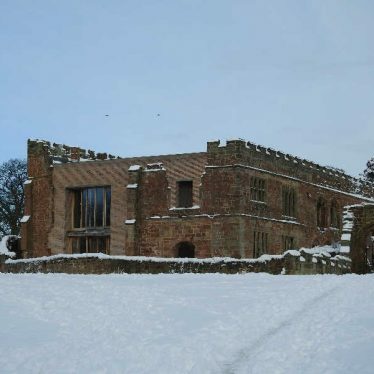 2 In 1266 Warin de Bassingburn was granted a licence to enclose the manor house at Astley with a dyke and to crenellate. Access onto the moated island is by means of a bridge accross the south-west arm of the moat. 3 Photograph taken in 1977. 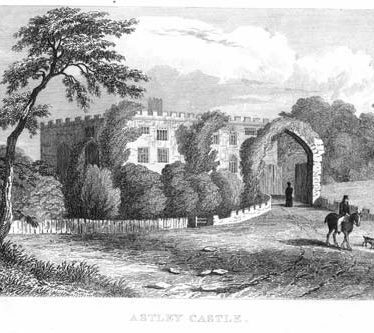 4 Astley Castle originated as a moated, semi-fortified house belonging to the Astley family, who held the manor from the Earls of Warwick. 5 Sketch of the castle in 1829. 6 Photo of stable block. 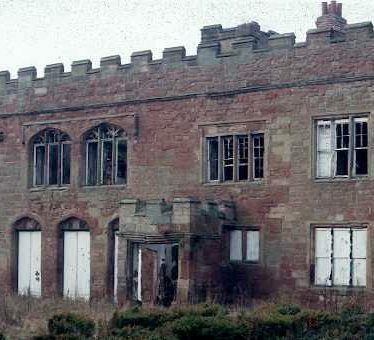 7 Astley Castle and associated features, (see PRNS 359, 360, 362 and 7224) was Scheduled as an Ancient Monument in April 1994. 8 The surviving house is a multi-period building on a moated island, though only a fraction of the size of the medieval castle. The oldest fabric probably belongs to sections of the perimeter wall. The oldest part of the house is is a large medieval two-storey stone range, much altered in the 16th, 17th and early 19th centuries. The high status Hall range was probably added in the late 15th century. Plans and elevations drawn 1996. Photographed 1996. 9 Emergency stabilisation work was carried out on the upstanding building remains between October 2008 and May 2009 to prevent the building from collapsing. 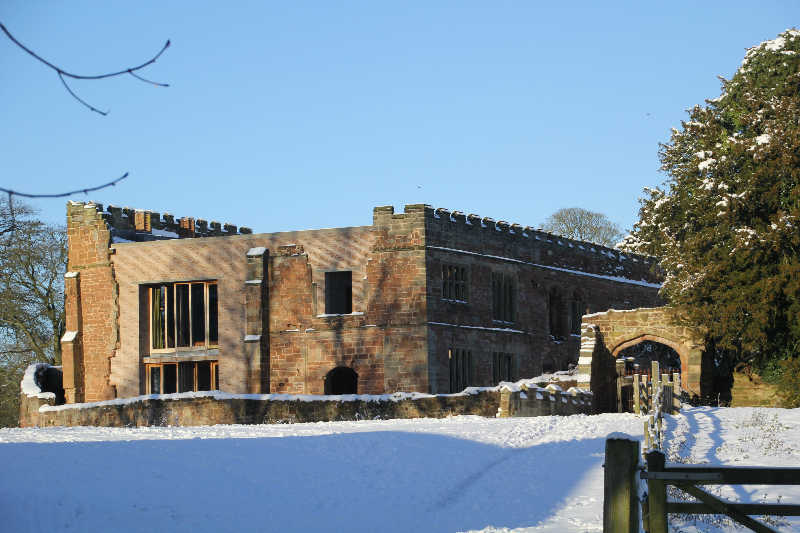 Substantial consolidation works were undertaken for conversion of the standing remains of the building by the Landmark Trust, and for the insertion of a modern accomadation block within the upstanding masonry. The below-ground work was subject to a sustained period of archaeological monitoring. The remains of gardens at Astley Castle which were laid out during the Imperial period. The garden features are visible as earthworks and are situated immediately north and east of the castle. Recommended for inclusion on the Register by Lovie. The site of a quarry which was in use during the Imperial period. It was situated 100m south west of Astley Lane. 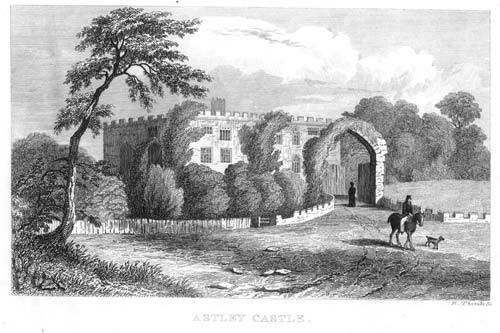 The remains of the gatehouse to Astley Castle which was built in the Medieval period. It was situated 200m east of Church Lane, Astley. The site of a pound where livestock was penned. 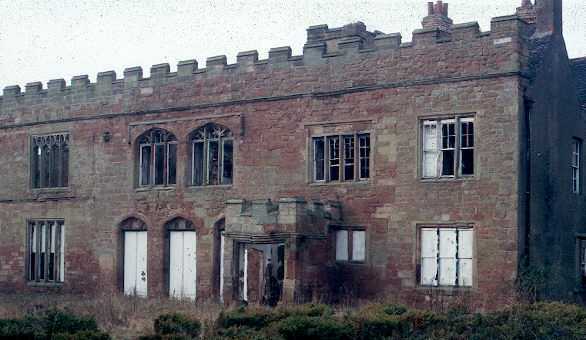 It was in use during the Imperial period and was situated 300m south east of Astley. A house which dates from the Post Medieval period although it has since been modernised. It contains a fireplace with the date 1672 above it. The house is situated 500m south of Lowsonford. Site of Post Medieval Manor House nr The Stone Tower, Claverdon. The site of a Post Medieval manor house which is suggested by documentary evidence. The site is located 100m north west of Leyland Plantation. 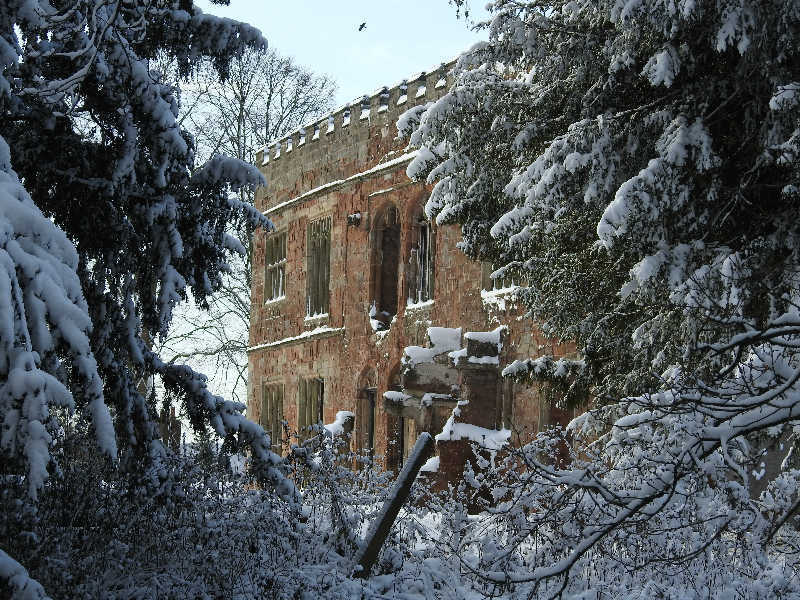 Cryfield Grange was almost entirely rebuilt during the Imperial period on its original Post Medieval foundations. 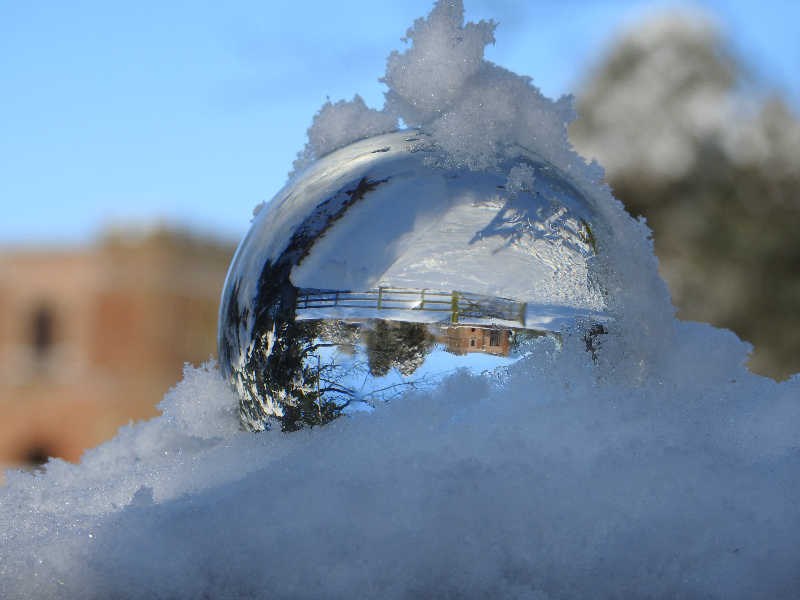 It retains some architectural features from its earlier history. 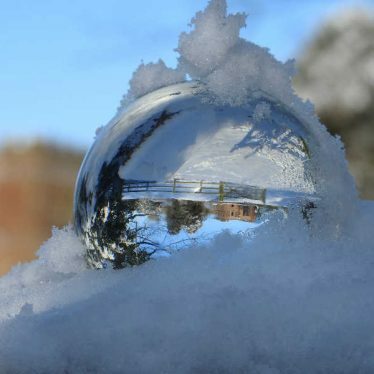 It is situated 1km north of Crackley. Site of Post Medieval Manor House at Temple House, Chilvers Coton. The site of a Post Medieval manor house which lay 300m west of Park Farm. Now disproved.